In the beautiful Piazzarola district you’ll find the Pia Fortress, the Sant’Angelo Magno Church and the ancient paper mill projected and designed by Cola d’Amatrice. The term Piazzarola comes from Plateola (small square) and it’s referred to the one that was once located in front of the church of Sant’Angelo Minore before being destroyed on July 11th, 1256 upon the command of Allessandro IV. This district was created thanks to the efforts of Master Flaiani, a very important man who also used to be the Consul of this Sestiere. 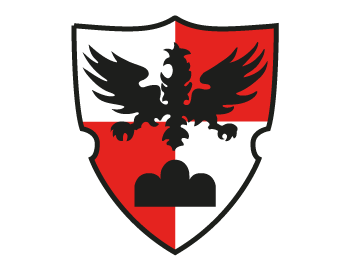 The symbol of La Piazzarola is represented by a black eagle located in the middle of a red & white shield. 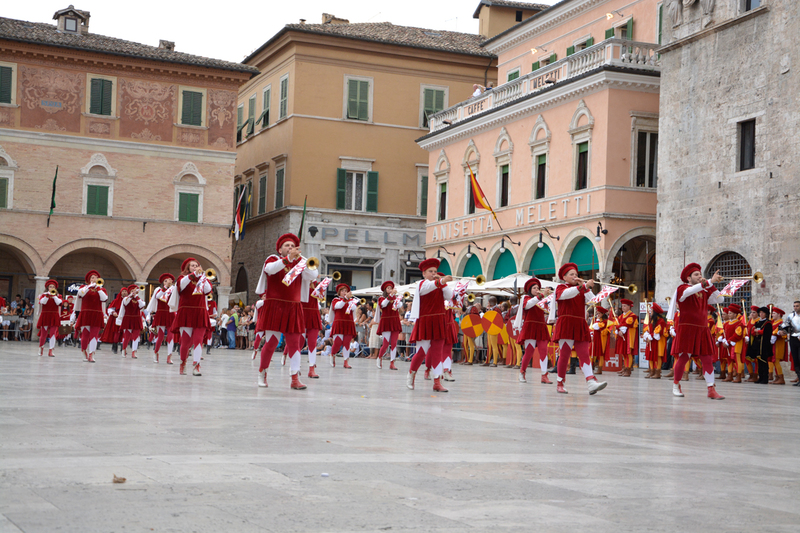 Flagwaivers exhibit every year during the local flagwaiver competition of Ascoli Piceno on the first weekend of July in the main Piazza Arringo Square. The exhibitions made with the flag consist of choreographic excercises that reproduce some stages of the battle, but today they are performed with the flag rather than than war weapons. 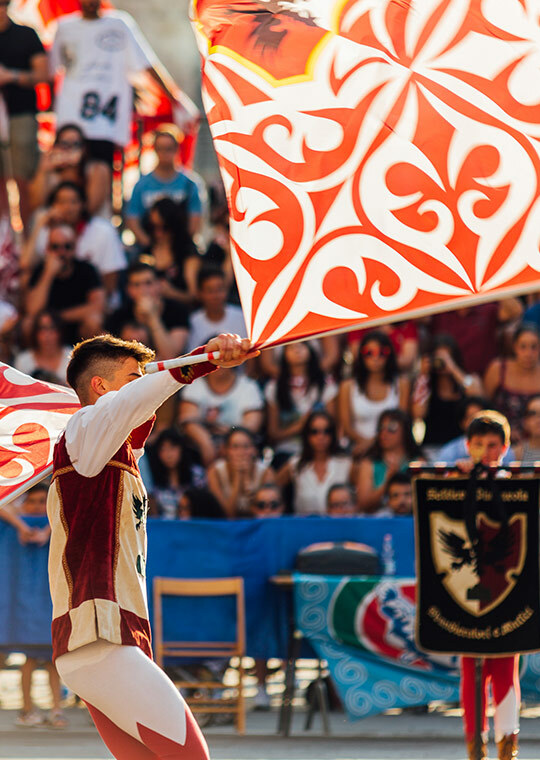 The flag waivers’ style derives from the ancient Ascoli Piceno tradition, as demonstrated by the famous “bomb exercise”, which highlights the ability of the flag waiver to launch the flag as high as possible resuming it without making it fall to the ground. Traditionally, flags were crafted with wooden poles and lead at the base, while the canvas were painted by each flag waiver. Today carbon rods and microfiber canvas have replaced the old flags in order to satisfy the requests made by the FISB – The Italian Flagship Federation.